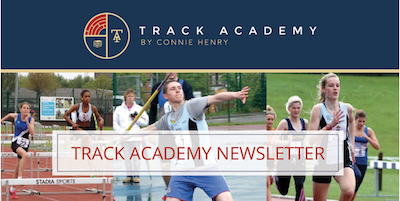 One of the basic building blocks of success that Track Academy recognise is that all young people need to be educated to the highest possible levels. Track Academy support this premise by monitoring the Student-Athlete’s academic attainment and by offering Maths and English tuition in our Saturday morning supplementary school, which has been quality assured by the NRCSE Bronze Award. Additionally, we provide monthly educational workshops to broaden Student-Athletes’ horizons and boost their self-esteem, by giving them experiences in, around and outside of sport with motivational speakers, employability workshops, college and university visits and work experience opportunities (detailed further below). Youth leadership and peer role models are becoming a more significant part of our programme. We started in December 2015 with Alumni and Student-Athlete Talks where young adults along with our current Student-Athletes, speak to the next generation of Student-Athletes about their experiences and their current career paths. Following this, we have introduced opportunities for our 16+ Student-Athletes to take on leadership roles at Track Academy, by assisting coaching, becoming peer leaders to our younger athletes, leafletting local school/colleges, engaging with young people at open days and helping out with the running of the welcome desk before training. This is performed in kind and translates to fee reduction, whilst giving Student-Athletes some experience of working life and the professionalism required for working with others, managing time and taking control of their personal finances. Finally, the programme helps our Student-Athletes develop leadership skills, a positive outlook on their life challenges and problem solving skills by giving the them an opportunity impact their peers and the running of their programme in our Track Academy Athlete-Student Group (TAAG).